In case you haven’t noticed, it’s stinkbug time again. In the fall brown marmorated stinkbugs (Halyomorpha halys) invade our houses, squeezing into every crack. They’re annoying to us but devastating to orchards, farms and gardens where they pierce the fruit and cause necrosis. 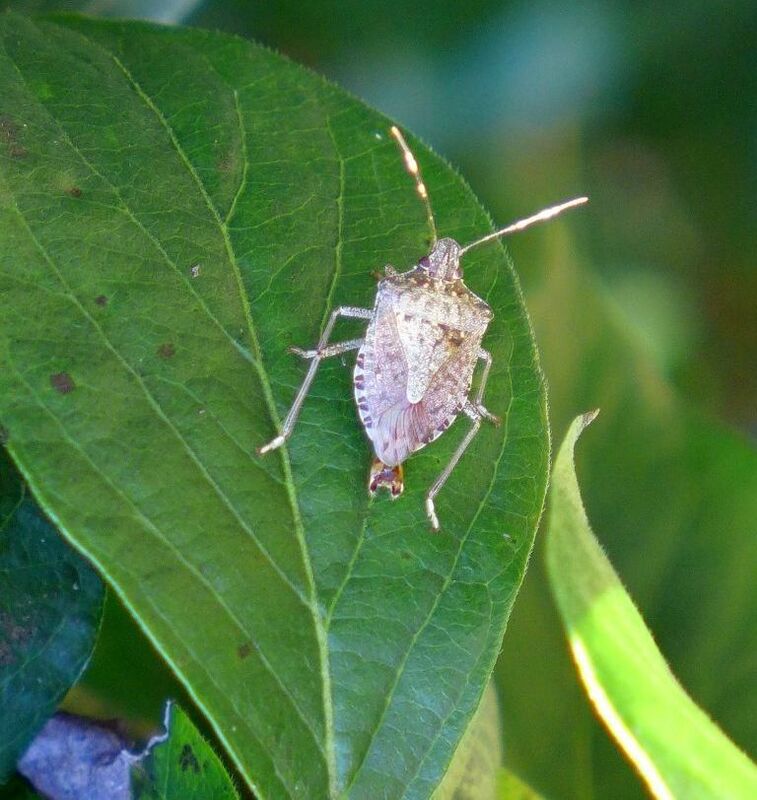 These Asian invaders were first seen in the U.S. twenty years ago and caused trouble so quickly that USDA started searching for a biological control agent in the stinkbug’s native range. The most promising predator was the tiny Samurai wasp (Trissolcus japonicus). The Samurai wasp injects its own eggs into stinkbug eggs; its larvae eat the egg contents. According to the StopBMSB website “these stingerless warriors search for and destroy 60–90% of BMSB eggs in Asia.” A video from the Entomological Society of America shows what they do. Testing began in 2005 but the approval process takes a very long time. Scientists had to identify the right wasp and prove it wouldn’t destroy native species in the U.S. (Cane toads in Australia are a sad example of poor/no testing.) Testing was still underway in 2014 when a field survey found samurai wasps in Maryland. The samurai wasp showed up on its own, probably arriving inside stinkbug eggs in plant shipments from Asia. An alien inside an alien. By March 2018 the samurai wasp was found in 10 states — and only where stinkbugs are already a problem. So far so good. Read more about the samurai-stinkbug connection in this article in Science Magazine. I am glad to hear the wasp is stingerless. I have such a phobia of all insects with stingers. I do not act rationally when they come near me. ?